4. Eye Contact Matters! : In driver’s education classes, they urge motorists to make eye contact with fellow motorists to ensure that everyone is on the same page with respect to maneuvering. The same applies for drivers, cyclists and pedestrians on their commutes to/from school. Teach your kids to make eye contact and use hand signals to make sure that they cross and travel in safety. 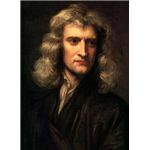 So, according to Newton, if you’re travelling slower and you strike an object, the amount of force applied to that object will be less than what would have been applied had you been travelling say 15km faster. Staying away from physics, the faster you travel, the less reaction time you have to avoid an accident. Driver slower = more reaction time and also more time to break to a complete stop as well. 7. Be Kind to that Crossing Guard: The neighbourhood crossing guard is a great safety resource. Not only do they help children cross the street in safety, they are the eyes and ears of the neighbourhood. They can spot suspicious activity and report it to the school, the police or parents. They can serve as a deterrent to speeding drivers or neighborhood creeps. They can spot trouble before it happens. Don;t underestimate these people. Be glad you have them serving your community and do your best to keep them happy and working. Crossing guards matter. Having a crossing guard is probably better than having a personal injury lawyer live in your community. Enough law talk? Sure. I would like to comment briefly on Canada’s National Soccer Team. First: Congratulations on qualifying to the 4th Round of World Cup Qualifying in the CONCACAF Region with your 1-1 draw against Belize. There is a lot of effort across Canada to “grow the sport” of soccer. How can you grow the sport, if you don’t broadcast any of the games on national or provincial television. The broadcast rights for the first leg against Belize were carried on TLN. Those rights were picked up at the 11th hour. The rights to the away leg against Belize were only available on some obscure Euro Sports Channel only available on Rogers with a particular SportsPack. If you were on Bell or Shaw, you were likely out of luck unless you had some very obscure channels. Most people across Canada (and there are more than you think) watched the game via live stream from a Belizian local channel featuring commentators who quickly became cult heroes named “Mad Bull” and “Maestro“. The big stations, TSN and Sportsnet, with their 10+ combined channels instead duplicated Toronto Baseball and Tennis on all of their stations. If you want Canadian Content, it was there for the taking; but none of the big players stepped up to the plate and delivered. Shame on the Canadian Soccer Association for not getting a deal done. Shame on TSN and Sportsnet for not taking to the Canadian Soccer cause. They all need to work better together on these sort of things if they want soccer to be taken seriously in this country.